TV makers vs. speaker builders: Who makes the best soundbar? Polk Audio MagniFi Voice Optimizing Wireless Soundbar review: Why no HDMI? The 3.1-channel Polk MagniFi has a unique design, all curves and swooshes, that makes it look like it would be more at home in a high-end automobile than a living room. 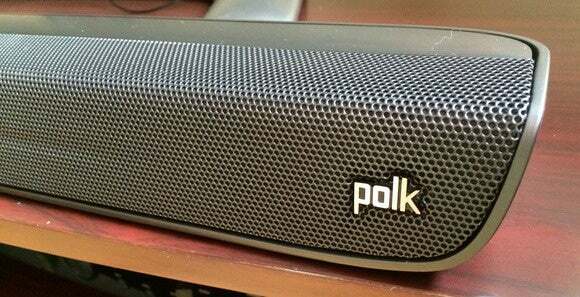 The 38-inch sound bar includes three drivers, the center channel being Polk’s big selling point here. 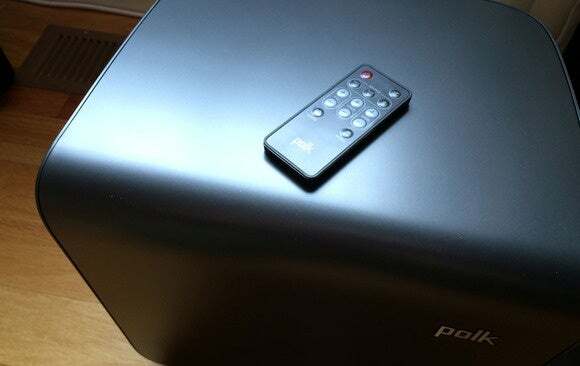 The downward-firing subwoofer connects wirelessly, but both the sub and the sound bar include a special 3.5mm connection (and a long cable) that lets you connect them via wire, presumably if the wireless kicks out on you. The MagniFi has the same big limitation as the Yamaha above: No HDMI. In fact, it’s even more restrictive than the Yamaha when it comes to connectivity. Your choices are digital optical or a 3.5mm analog jack, and that’s it. (Bluetooth is also supported.) Again, this is almost criminal, as the lack of an HDMI severely restricts the usability of the sound bar. The MagniFi features a technology called Voice Adjust, which limits the frequency band of the left and right channel while allowing the center channel full range. The spare remote lets you adjust the volume of this center channel independently (you can also tweak the bass volume up and down), which ostensibly gives you fine-grained control over the clarity of dialog. Note:This review was part of a six-product roundup comparing sound bars built by TV manufacturers with the efforts of speaker builders. Click here to read the introduction and a complete buyers guide, where you’ll also find links to the five other sound bar reviews. It works well enough—though it takes some finessing to get just right—but on the whole the Polk MagniFi is extremely clear and capable, albeit not quite as clear on very high frequencies as it could be. Overall, it doesn’t sound quite as loud and powerful as its 300 watts would suggest. The simplistic remote couldn’t be simpler, but ease of use comes at the expense of understanding exactly what’s going on with the sound bar. LEDs behind the speaker grille light up and flash and change colors. What any of this means—aside from the intuitive volume display—isn’t always apparent, but it rarely seems important. There are only two sound-field modes, the three volume controls (master, voice, and bass), and an input selector. If you can’t master this system in five minutes, well, there’s always Polk’s website. Note: This review is part of a six-product roundup comparing sound bars built by TV manufacturers with the efforts of speaker builders. Click here to read the introduction and a complete buyers guide, where you’ll also find links to the five other sound bar reviews. 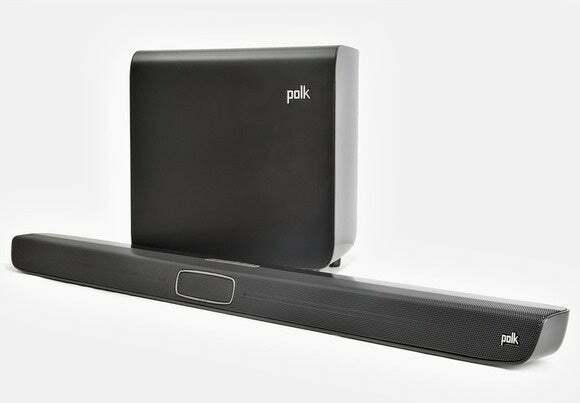 Polk's sound bar is unique in that it has discrete left, right, and center channels, but it doesn't support HDMI and it's audio performance wasn't as good as several of its similarly priced competitors.